QUICKLYNKS T85 is very easy to use, just find out the 16pin socket under the dashboard then plug the QUICKLYNKS T85 16pin adapter into this socket. I put the whole pack of QUICKLYNKS T85 scanner as below. 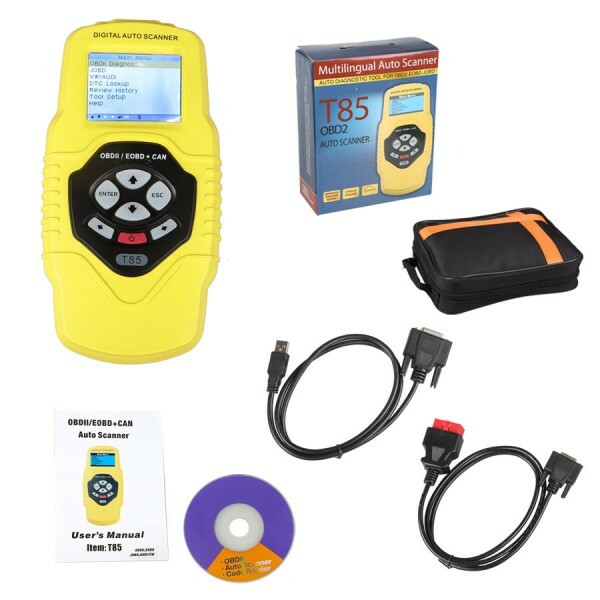 T85 host, one OBD2 cable, one USB cable, one CD, one user manual and one box. As you can see, it is about 2.8” TFT color screen. Connect the USB cable to the computer and you are able to update onlinefind and print the diagnostic results. 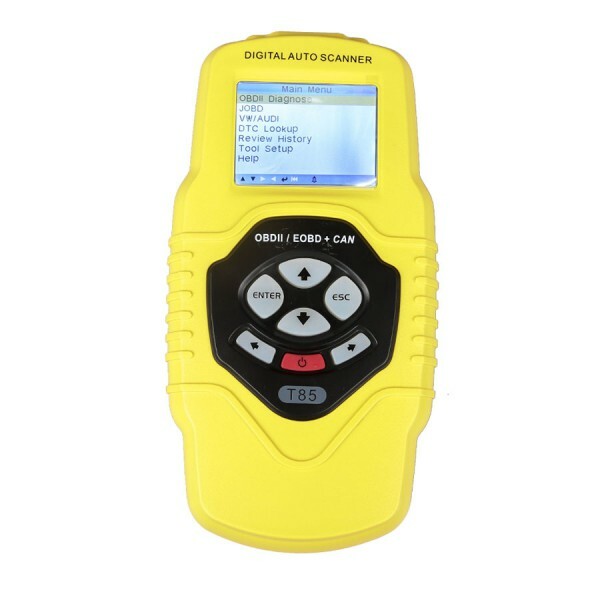 After connect QUICKLYNKS T85 scanner to the vehicle, it is easy to use, just press the arrow button and the navigate icon to choose what you want it to do and click enter to do it can do, then ESC button to exit the task. What QUICKLYNKS T85 can do? Generally speaking, QUICKLYNKS T85 can work with VW, AUDI and Japanese cars with JOBD protocols including TOYOTA.HONDA.DAIHATSU.MITSUBISHI.MAZDA\NISSAN.SUZUKI.SUBARU. Besides light trucks after 2000 year. This entry was posted on September 26, 2016, in Code Reader and tagged QUICKLYNKS T85. Bookmark the permalink. ← No eeprom option in OBDSTAR X100 pro, how to use EEPROM PIC adapter?